The French Rhythmic Gymnastics Team has refused to take part in the 2016 Olympic Test Event that will take place in April. They rejected the chance to qualify for the 2016 Olympic Games. As three gymnasts announced their retirement this month the French Gymnastics Federation decided to withdraw from the Test Event. "Taking into account the calendar and the difficulty of preparing a team in four months, the French Gymnastics Federation and the national technical staff have decided not to pursue the Olympic road," the Federation announced in a press release on Thursday. "France will therefore be absent from the Test Event." The French Gymnastics Group was lucky to get the final qualification slot to the April’s Test Event according to the result of the World Championships in Stuttgart. The Korean team earned the slot of the first reserve. 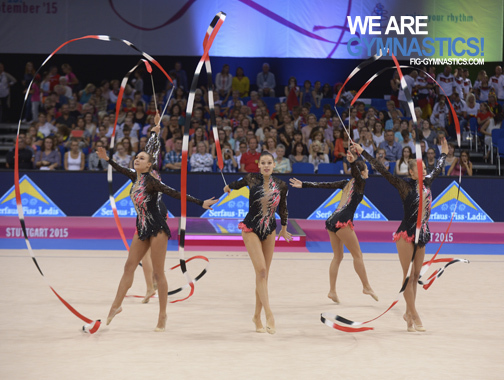 Seven Rhythmic Gymnastics Groups will compete for four Olympic berths at the Test Event that will be held on April 22nd -24th at the Olympic venue in Rio. As host country of the 2016 Olympics, Brazil, which has qualified a Group to the Test Event, is guaranteed a place in Rhythmic Group competition at the Games. Find your own leo among our olympic gymnastics leotards. < New leotards are available for you!